Constructed from clear, crystal glass, the Pebble Table lamp draws upon the delicate shapes of nature. Part of the popular RV Astley lighting collection, this unique lamp will look beautiful placed upon a marble surface such as a console or side table. 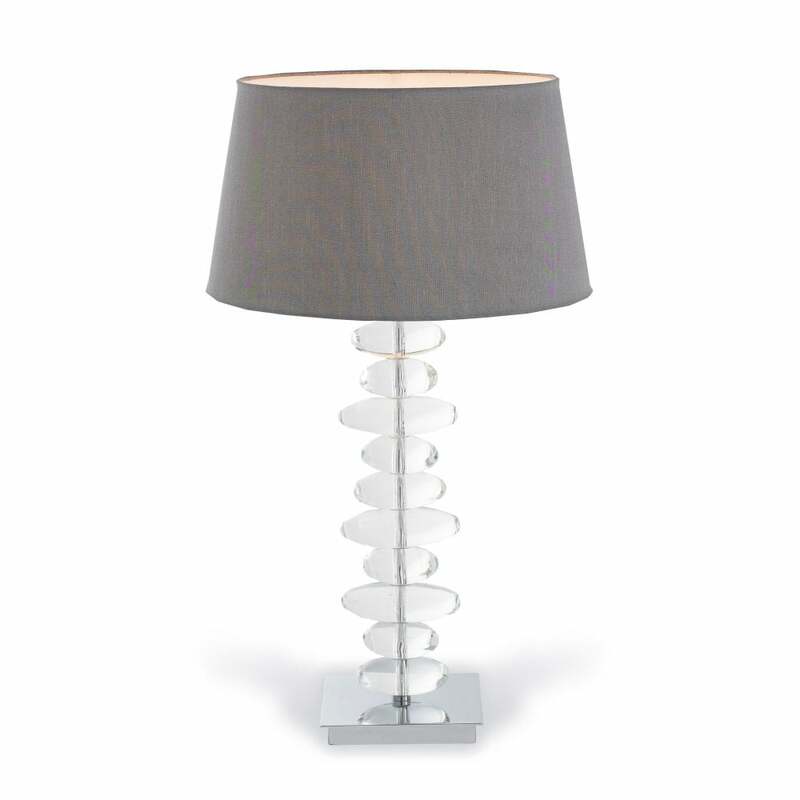 Bringing a touch of hotel chic to your home interior, this table lamp will suit both traditonal and modern spaces. Complemented by a soft, grey empire shade the subtle glass is mounted upon a sturdy nickel base for contrasting depth.